Former President Jimmy Carter has clearly been chastened by the criticism of his last error-laden text, Palestine: Peace Not Apartheid (Simon & Schuster, 2006). His follow up book, We Can Have Peace in the Holy Land: A Plan That Will Work (Simon & Schuster, 2009), is much more moderate in tone. Nevertheless, the text is still, in essence, an extended attempt to deceive its audience about issues of central importance to the Arab-Israeli conflict. 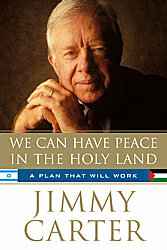 The main thrust of Carter’s book is that Hamas – a group dedicated to Israel’s destruction – can be trusted to agree to a peace deal negotiated by Fatah (an allegedly more moderate organization) if this deal is subsequently affirmed by the Palestinian people in a referendum or by an elected Palestinian government. In addition to portraying Hamas (which controls the Gaza Strip) and Fatah (which controls the West Bank) as trustworthy peace partners, Carter also portrays Israeli policies as the primary cause for the continuation of the Arab-Israeli war. He also depicts Israel as if it is in control of the violence and enmity directed at it by political and religious leaders in the Middle East. In order to make this story credible, Carter engages in a number of distortions. In addition to downplaying Palestinian violence against Israel and portraying Israeli efforts to defend itself as unreasonable acts of aggression, the former president labors to sanitize Hamas’ history and agenda by giving more credence to the statements made to him during private meetings by the organization’s leaders than he does to its public statements and actions. He also works to rehabilitate the reputation of Marwan Bhargouti, a Fatah leader responsible for the deaths of numerous Israelis. The overall effect of Carter’s book is to exaggerate the willingness of Israel’s neighbors to end the Arab-Israeli conflict and to portray delays in peace as Israel’s fault. As stated above, the main thrust of Carter’s book is to portray Hamas – an organization committed to Israel’s destruction – as a potential peace partner that can be trusted to accept a peace deal. Carter’s portrayal of Hamas, however, is marred with numerous factual errors and omissions that all serve to downplay its hostility and violence toward Israel and Palestinians living in the Gaza Strip – problems that would cause most observers to question Carter’s assessment of the organization as a potential peace partner. Yes, Carter does acknowledge that Hamas does not accept Israel’s existence, but at other points in his text, he downplays this fact and suggests the organization will evolve into a more pragmatic organization in a process similar to what allegedly happened with the Fatah dominated PLO. He does this by mischaracterizing Hamas’ positions and by cherry-picking its statements. There is no solution to the Palestinian problem except by jihad [Holy War]. Initiatives, proposals and international conferences are a waste of time and a farce. Given the text of its charter, how can former President Carter suggest with a straight face that Hamas ever intended to eliminate Israel with anything other than violence? Clearly, attacking Israel, and the Jews who live there, is a central – not provisional – aspect of Hamas’ agenda. In reality, Hamas’ statements during the run-up to the election were a mixture of pragmatism and extremism, and certainly did include explicit “mention of violent” action. Sometimes Hamas candidates spoke in moderate terms about a willingness to negotiate and other times they spoke of a refusal to negotiate and of a long term goal of Israel’s destruction. Despite the ambiguity, the overall message was clear: Israel’s destruction remained Hamas’ long-term goal and any moderation was a short-term tactic. This assembly holds special significance, since it takes place after Gaza was liberated against the will of the Zionist aggressors. Who knows when we will celebrate the liberation of Gaza, Jerusalem, Haifa, Jaffa, and all the rest of Palestine. Hamas, together with the Palestinian people, will implement its policy using a new language, without feeling any urge to meet with the enemy or negotiate with it. Was Gaza liberated through negotiations?! Hamas will continue to wield its weapons and to [claim] its right to resist. Resistance will [continue to] be a strategic option until the last piece of Palestinian land is liberated, and until the last refugee returns. Mahmoud Zahar, a top Hamas leader, struck back in the campaign’s final days, playing to Hamas’s political base in the destitute Gaza neighborhoods and refugee camps that have supplied many Hamas suicide attackers and that revere them as martyrs. Before crowds of thousands, he and other candidates went out of their way to deny they would ever give up their insistence on the destruction of Israel and the right to armed struggle. Carter’s efforts to sanitize Hamas become most explicit in Chapter 10, titled “Can Hamas Play a Positive Role?” For example, on page 132 Carter reports that “Hamas leaders claim that the conflict with Israel is political and not religious.” This is clearly a deception on the part of the (unnamed) Hamas leaders. … our fight with the Jews is very extensive and very grave, and it requires all the sincere efforts. It is a step that must be followed by further steps; it is a brigade that must be reinforced by brigades upon brigades from this vast Islamic world, until the enemies are defeated and Allah’s victory is revealed. The Prophet, Allah’s prayer and peace be upon him, says: “The hour of judgment shall not come until the Muslims fight the Jews and kill them, so that the Jews hide behind trees and stones, and each tree and stone will say: ‘Oh Muslim, oh servant of Allah, there is a Jew behind me, come and kill him,’ except for the Gharqad tree, for it is the tree of the Jews.” (Recorded in the Hadith collections of Bukhari and Muslim). Given all this, Carter’s repetition – without reflection or challenge – of assertions from Hamas leaders that their complaints are “political and not religious” is simply dishonest. In August 2004, Hamas changed tactics and announced a unilateral cease-fire and pledged to forgo any attacks against Israeli civilians, but some subsequent violence was attributed to it. As early as January 2004 and again in February 2006, senior Hamas officials made public offers of a long-term truce, or hudna, in return for a complete withdrawal by Israel from the occupied territories and the establishment of a Palestinian state. What Carter omits from this paragraph is that none of these proposals acknowledged Israel’s existence as a permanent state in the Midd le East and that Israel’s destruction remained the primary goal of the organization. Carter also fails to report that the long-term truce offered by senior Hamas officials in January 2004 was repudiated by Hamas leaders soon after its existence was first reported. This truce offer was first reported in Al-Hayat, an Arabic newspaper published in London, on Jan. 25, 2004. A BBC translation of the report in Al-Hayat quotes Hamas leader Ismael Haniyeh as saying “Hamas accepts the establishment of a fully sovereign Palestinian state in the territories that were seized in 1967 with Jerusalem as its capital, as a temporary solution.” (BBC Monitoring, Jan. 26, 2004). A top official of the main Palestinian group, Hamas, has said it could declare a 10-year truce with Israel if it withdrew from territory occupied since 1967. We accepted a state in the West Bank, including Jerusalem, and the Gaza Strip. We propose a 10-year truce in return for (Israeli) withdrawal and the establishment of a state,” he said by telephone from hiding in the Gaza Strip. 1. There will be no relinquishment of a single inch of Palestinian territory, because it is Islamic territory. 2. There will be no recognition of the so-called State of “Israel“. 3. Any solution that provides for a recognition of the so-called State of “Israel”, or for relinquishing a single inch of the historic territoryof Palestine is unacceptable and null and void and non-binding to us. 4. The resistance option is the only option that can bring about a restoration of the usurped rights. 5. The negotiating process has proved futile and incapable of restoring the legitimate national rights. Given this thorough repudiation of the so-called truce offer of Jan. 2004, how can former President Carter invoke it as a legitimate opportunity for peace? The February 2006 peace offer cited by Carter is likewise meaningless. Khaled Meshaal, head of Hamas’s political bureau in Damascus, made the offer in a opinion piece that appeared in The Guardian on Jan. 31, 2006. In the piece, Meshaal calls for a long-term truce, while at the same time asserting that Hamas will “never recognize the legitimacy of a Zionist state created on our soil …” Again, given the obvious contradiction – a call for a long term truce coupled with a refusal to accept “a Zionist state on our soil” – how can Carter honestly invoke this truce offer as a legitimate opportunity for peace? Finally, Carter’s description of “some violence” being “attributed” to Hamas after August 2004 is an example – one of many throughout the book – of the former president downplaying the organization’s violence and Israeli casualties. On Aug. 31, 2004, for example, two buses were bombed in Be’er Sheva, killing 16. This deadly attack was not “attributed to” Hamas. The organization itself proudly claimed responsibility for it. Approximately a month later, Hamas also claimed responsibility for a rocket attack that killed four-year-old Yuval Abebeh (pictured on the right) and his cousin, two-year old Dorit Benisian (left) as they were playing together outside their grandmother’s home. It was one of many rocket attacks by Hamas since August 2004. During the Second Intifada and before a Gaza truce was accepted in June 2008, reliable human rights organizations reported that 334 Israeli military personnel and 719 Israeli civilians were killed. [The total is 1053 Israelis.] There were 4,745 Palestinian fatalities, of whom 1,671 were assumed to have been militants. It is difficult to ascertain who among the Palestinians were active combatants, but 119 Israeli children and 982 Palestinian children were among the dead. B’tselem reports 1,787 Palestinians killed in the West Bank by the Israel Defense Forces and 41 by Israeli settlers between September 2000 and 2008. Qassam rockets were launched from Gaza into the nearby Israeli villageof Sderot, and retaliatory strokes against Gaza cost 2,974 lives, while 580 Israelis were killed. The problem with these numbers is obvious. While the number of Palestinian deaths is about the same (4,745 on page 62 versus 4802 on page 94), there is a significant discrepancy between the Israeli deaths (1053 on page 62 and 580 on page 94). Why the 45 percent drop? 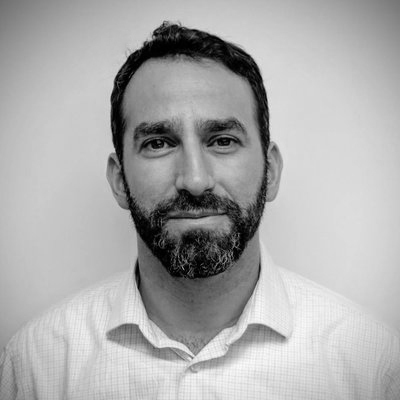 An examination of B’tselem’s Web site reveals the problem. The 580 figure Carter used on page 94 includes only Israelis killed inside Israel’s pre-1967 borders and omits Israeli killed in the West Bank and Gaza Strip. This glaring error removes almost 500 Israeli deaths from Carter’s narrative. Carter confuses the issue further when he asserts on page 62 that, of the Palestinian fatalities, “1,671 were assumed to have been militants.” In fact, the likely number of “militants” is much higher. According to B’tselem, Israel killed almost 900 Palestinians about whom it is not “known if they were taking part in the hostilities” during the Second Intifada. B’tselem’s report makes clear that this number includes numerous wanted militants and armed Palestinians. The problems with Carter’s statistics do not end here. On page 132, he reports that “from November 2000 to mid-2004 nearly four hundred Israeli soldiers and citizens were killed.” In fact, more than twice this number of Israelis was killed over the time frame Carter enunciates. According to a report published by the Intelligence and Terrorism Information Centerat the Israel Intelligence Heritage & Commemoration Center (IICC), 879 Israelis were killed in the years 2001, 2002, and 2003. According to the Israeli Ministry of Foreign Affairs, 28 Israelis were killed in the last two months of 2000, and 63 were killed in the first six months of 2004, yielding a total number of 970 Israeli deaths – far exceeding Carter’s estimate of 400 killed. A movement known as the Intifada (“shaking,” or “waking up”) began in 1987 and continued for several years. Although PLO leaders had access to many firearms, they restrained their use except against Palestinians believed to be colluding with Israelis. Seventy thousand Israeli troops were deployed to confront mostly young people throwing stones. The human rights organization Al Haq reported that not a single Israeli soldier was killed during the first year of the Intifada, and a total of only twelve during the first four years of the uprising. In this passage, Carter embraces the mythology that the First Intifada was a non-violent protest on the part of the Palestinians. One obvious problem with this narrative is Carter’s reliance on an unnamed document from Al Haq, a Palestinian human rights organization, to buttress his claim that “not a single soldier” was killed during the first year of the Intifada. According to B’tselem – an organization which Carter routinely cites as a source – a total of four Israeli soldiers were killed during 1988. Why did Carter use Al Haq and not B’tselem for this statistic? Was it because it provided him with a much more dramatic assertion – that “not a single Israeli soldier was killed” – as opposed to the information B’tselem provided? Even if the former president had cited the correct number of Israeli soldiers during the first year of the Intifada, this would still be disingenuous, because he omits entirely the number of civilian deaths that resulted from Palestinian violence during the time period. This concealed information clearly demonstrates that the First Intifada was marked by serious violence targeting Israeli men, women and children. More than 100 Israeli civilians were killed during the years 1987 through 1990. This contradicts Carter’s characterization of the First Intifada as merely an outbreak of rock throwing. In truth, firearms, hand grenades and firebombs were used to terrorize Israeli civilians, with lethal results. In October 1998, for example, Rachel Weiss, a twenty-six year old Israeli woman, was burned to death along with her three sons – the oldest only 3 years old – when Palestinians firebombed a passenger bus she was riding through Jericho in the West Bank. Another issue&nbsp ;Carter fails to acknowledge during his discussion of this period is that violence against Israeli civilian inside the Green Line increased after the signing of the interim agreement (or “Oslo Accords”) on Sept. 13, 1993. According to B’tselem, a total of 70 Israeli civilians and military personnel were killed inside Israel between Dec. 9, 1987 and Sept. 13, 1993. By way of comparison, between the beginning of 1994 and the end of 1997, a total of 161 Israelis were killed inside Israel. The upshot is this: The Oslo Accords did not make life any safer for Israelis inside Israel. By omitting information about Palestinian violence during the First Intifada and about the increase of Israeli deaths that took place after the Oslo Accords, Carter deprives his readers of information they need to assess the prospects for peace between Israel and its adversaries. Barghouti refused to present a defense and asserted that his trial was illegitimate because he was a legislator, arrested over an area over which Israel had no authority, and his transfer from the occupied territory to Israel for trial violated the Fourth Geneva Convesion. He was accused of thirty-three counts of murder during the first and second intifadas and found guilty on five hazy charges involving Israeli Druze soldiers. The Defendant was involved in the training of terrorists by funding and organizing training facilities for activists who were longstanding members of the terrorist organizations and also activists recruited at the time, all for the purpose of carrying out Acts of Terror. . . . The Defendant was active in obtaining arms and other weapons, including assault rifles, explosive belts, a mortar, hand grenades and so forth, for the purposes of carrying out Acts of Terror. responsible for the murders of: Salim Barakat, 33, from the Druze village of Yarka in the Galilee, who survived by his wife, daughter, parents and seven brothers and sisters; Eli Dahan, 53, of Lod, who is survived by his mother Sarah, wife, Ilana, two daughters, two sons and three grandchildren; Yosef Habi, 52, of Herzliya, who is survived by his wife, son and daughter; Father Georgios Tsibouktzakis, 34, a Greek Orthodox monk from St. George’s Monastery in Wadi Kelt near Jericho, and Yoela Chen, 45, of Givat Ze’ev, who is survived by her husband and two children. Nor are they Barghouti’s only victims. At his trial, people who were maimed as a result of Barghouti-sponsored attacks appeared as witnesses to the pain he caused them — pain they will experience for the rest of their lives. Chicago-born Alan Bauer and his 7-year-old son Jonathan were among those witnesses. They were five minutes from their home in Jerusalem when a Barghouti-funded suicide bomber blew himself up three feet away from them on March 21, 2002. Two arteries in Bauer’s arm were severed. A screw went all the way through little Jonathan’s head. To this day, Jonathan walks with a limp. According to the court protocols, Barghouti proudly admitted that he directed terrorist attacks in which scores of Israelis were killed and revealed how he directly allocated funds needed by terrorist cells to operate and purchase necessary weapons, and stated that Yasser Arafat personally authorized this funding for Tanzim activities, knowing that this money would be used to finance murderous attacks. Furthermore, protocols of interrogations of P.A. officials before the trial showed how the process worked: Names of Tanzim killers were submitted to Barghouti, who would routinely take them to Arafat for approval. In addition to casting doubt on Barghouti’s responsibility for the murders by writing the charges are “hazy,” Carter also fails to acknowledge that every one of Barghouti’s assertions regarding Israel lacking the legal authority to arrest, charge, convict and sentence him are dealt with decisively in the judge’s ruling. Carter also fails to note that Barghouti did not meet the requirements of being a prisoner of war under the Fourth Geneva Convention which he invoked in an attempt to stymie the case against him. In particular, Barghouti lacked a fixed distinguishing sign while engaged in acts of violence against Israel and did not carry his weapons openly. In other words, every one of Barghouti’s claims about his trial were false, and yet Carter passes them onto the reader without challenge. On pages seven through nine, former President Carter details the events during the 20th century related to the creation of the modern state of Israel in 1948. While Carter acknowledges the Holocaust and its impact on the Jewish people in Europe – something he did not do in the “Historical Chronology” section of his last book – he omits other crucial events that took place in the Middle East during that time. For example, despite mentioning the violent acts of “Jewish militants” in the 1930s, Carter provides no reference to the bloody anti-Jewish riots that took place in Palestine during the 1920s and 30s. Forty-three Jews were killed in riots that took place in 1921 and in 1929, 133 Jews were killed in pogroms, 67 of them in Hebron. Eighty were killed by Arab rioters in 1936. These riots, incited by religious and political leaders in Palestine, most notably the Grand Mufti of Jerusalem, also resulted in the deaths of many Arabs who clashed with British police. By omitting this information while mentioning Jewish acts of violence, Carter apparently hopes to portray the Arab-Israeli conflict as the result of Jewish and not Arab misdeeds. Carter also seems intent on exaggerating the willingness of Israel’s neighbors to make peace. On page XVI of his introduction, he asserts that the Saudi peace plan of 2002 has “been accepted by all Islamic nations” (a grouping that includes Iran). The Iranian Embassy in London on Thursday responded to the distortions in separate letters of protest to the newspapers and demanded that they publish articles in their next editions to remove any doubt that may have been caused on the issue, IRNA reported. We assert that in having the Phalangists enter the camps, no intention existed on the part of anyone who acted on behalf of Israel to harm the non-combatant population, and that the events that followed did not have the concurrence or assent of anyone from the political or civilian echelon who was active regarding the Phalangists’ entry into the camps. Carter insinuates on pages 53-54 that Israeli voters wanted to derail a healthy peace process supported by Hamas. He does this by juxtaposing Hamas’s pledge not to interfere with efforts to form a Palestinian government in 1996 with the decision of Israeli voters to return the Likud Party to power in Israeli elections that year. Carter writes that Benjamin Netanyahu’s election as Israeli Prime Minister “spelled the end of the Oslo Peace process.” In other words, Hamas is cast as being supportive of the peace process while the Israelis are depicted as obstructing peace by voting for Likud and bringing Netanyahu to power. It was good that Sharon finally recognized the futility of occupying Gaza, but this unilateral withdrawal rather than one negotiated with the Palestinian Authority proved to be a serious strategic miscalculation. It weakened the Palestinian moderates who wanted to negotiate peace with Israel and strengthened the militants, who claimed that Israel withdrew only because of their violent resistance. It also led many Israelis to conclude that Palestinians would not accept Israel even if it withdrew, thus leading Israelis to believe they should remain in the West Bank. 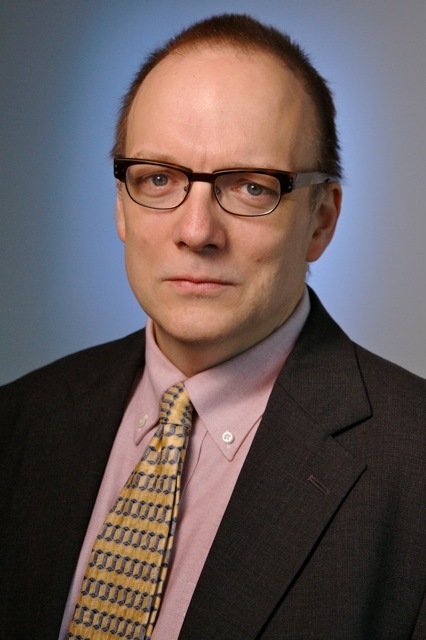 A negotiated withdrawal would have strengthened the peace process. This portrayal of Israel’s withdrawal as causing violence is an ironic assertion from a man who has continually called for Israel to withdraw from territory as a way to end the conflict. What Carter does not acknowledge is that Israel’s best efforts to achieve a “negotiate withdrawal” failed miserably at Camp David in 2000 as a result of Palestinian intransigence. Carter does not hold the Palestinians responsible for their failings, but instead blames all their misdeeds on Israeli behavior and policy – even when Israeli behavior is obviously conciliatory. Essentially, he condemns Israel for its intransigence and then portrays its efforts at reconciliation as misguided. Carter’s description of Israel’s security barrier portrays the country as indifferent both to the plight of the Palestinians impacted by its construction and to the rule of law. In particular, Carter asserts that the Israeli government ignored “legal rulings” from the International Court of Justice. The ICJ “ruling” that Carter is referring to is, in fact, a non-binding advisory opinion issued in 2004. Carter also fails to acknowledge that most of the barrier was built on state land and that in those instances when private land was used, owners were offered compensation. There is, in fact, no “international border” between Israel and the West Bank. Under UN Resolution 242, the details of any land-for-peace deal – including the location of Israel’s border – is to be negotiated between Israel and its adversaries. The armistice agreements that brought an end to the 1948 War make it perfectly clear that the boundaries between Israel and the West Bank (then controlled by Jordan) and Gaza Strip (then controlled by Egypt) were not international borders. The most significant problem with Carter’s description of the barrier is his failure to describe in any detail the impact of the terror attacks that preceded its construction. In fact, as noted above, the former consistently and significantly downplays the violence perpetrated against Israel during the Second Intifada. Before the barrier was built, Israeli civilians were subjected to the terror of suicide bombings perpetrated by Palestinians who embedded their bombs with bits of metal and glass to make their attacks more lethal. The images of Israeli volunteers cleaning the body parts of young children and infants and wiping blood off the streets convinced Israelis that being protected against suicidal mass murderers was more important than inconvenience to those impacted by the barrier. The emotional and psychological impact of these unpredictagble attacks must be included in any honest discussion of the security barrier, but Carter fails to address the issue in a meaningful manner. The decision to build the security barrier was not made in a vacuum, but after hundreds of Israelis were killed in suicide attacks that killed hundreds of civilians in movie theaters, bus stations and restaurants. The failure to responsibly address the violence that preceded the construction of the security barrier is emblematic of the failings of Carter’s book. In his text, Former President Carter downplays Arab violence and its impact on Israeli society. By failing to take into account that Palestinian violence has increased in the face of Israeli concessions, peace offers and withdrawals, and by passing on, without challenge or reflection, deceptive statements from Palestinian leaders, Carter ill-serves, and once again deceives, his audience.